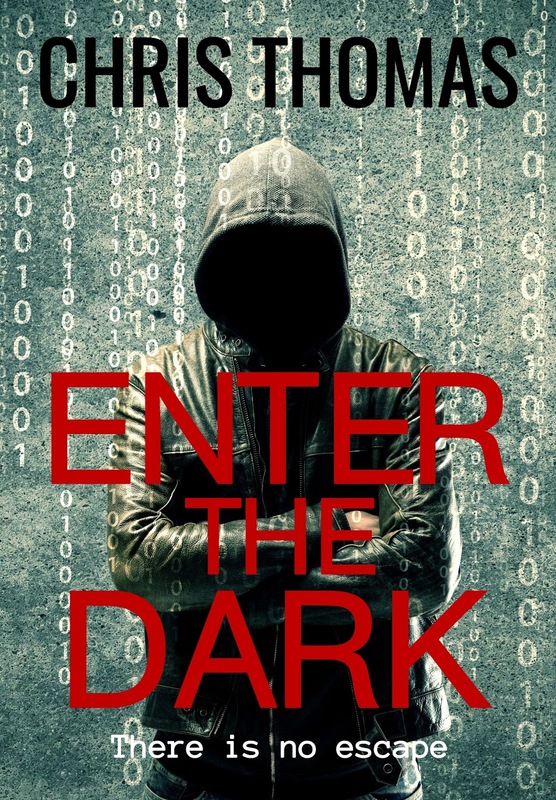 I'm seeing references to the dark web creeping into novels these days but there's no such creeping in Enter the Dark as we hurtle full speed into the eye-opening world of the deep/dark web. I'm so pleased that I was resting my kindle on my lap as I could have easily dropped it during some episodes of 'The Red Room' as I instinctively threw my hands up in horror. So what's Enter the Dark all about? Read on...if you dare. Joe is just a normal guy, spending time with his friends, running his family business and looking forward to marrying his girlfriend, Ellie. On a night out with the guys, Billy, one of Joe's friends introduces him to the dark web. It was only meant to be a bit of fun but once Joe has tasted the forbidden fruit he wants more. Intrigued by an anonymous site that costs well over £600, being 1 Bitcoin, just to enter it, Joe convinces Billy to show him how Bitcoins work. Once the guys are in, they find a holding page from The Brotherhood inviting them to an event which costs 2 Bitcoins to view. Billy walks away but Joe is caught in the web of temptation and is soon drawn deeper into The Red Room until he can't help himself playing a more active role in proceedings. Joe thinks he's safe behind his screen and he has no idea what has he got himself tangled up in. The Brotherhood of the Righteous is an online group of vigilantes who dole out punishment to criminals who, in their eyes, have not been punished enough. They search out convicted criminals with new identities, living their life when their victims are unable to do so and the viewers of the show compete to be the highest bidder who can select their punishment. The police get involved when one such criminal, living under a new identity complete with an electronic tag, goes missing leaving her tag behind. 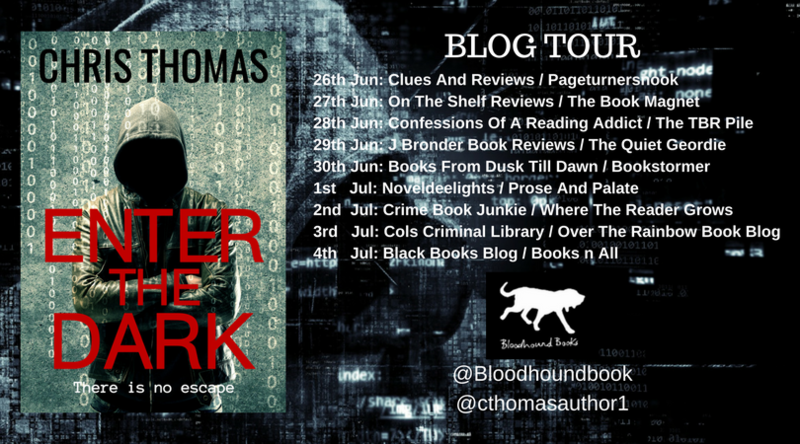 As the police race to discover the location of The Red Room, Joe's virtual world and real world collide as the Brotherhood come to collect his debt. Stomach clenchingly gruesome, Enter the Dark is a modern chiller thriller that will turn even the most cast-iron of stomachs. I gritted my teeth and clenched my stomach on each episode of The Red Room as the various methods of punishment were described in bone crunching detail. The punishments reminded me a bit of the film, Saw, in the way that you don't want to watch but you can't help it. Like Joe, I thought what harm can it do, it's not real, right? 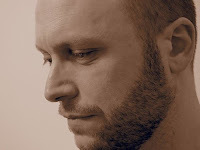 It's an absolutely superb debut from Chris Thomas and I was powerless to tear my eyes away from the page, even though sometimes I wanted to hide behind the sofa. 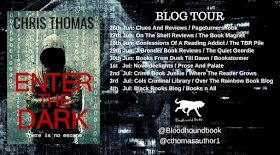 Dark by name and dark by nature, Enter the Dark is a recommended read for all thriller fans who like something a little bit darker.